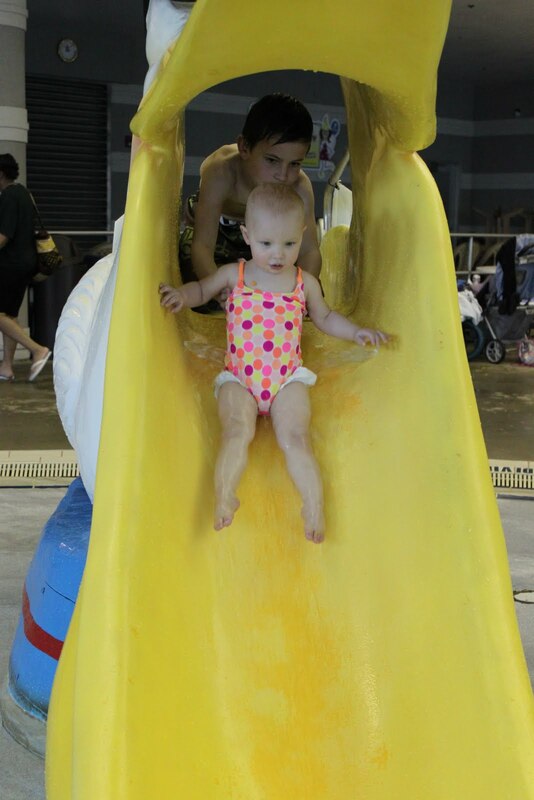 We went to home school swim today and Jayda tried out the slide at our indoor pool. 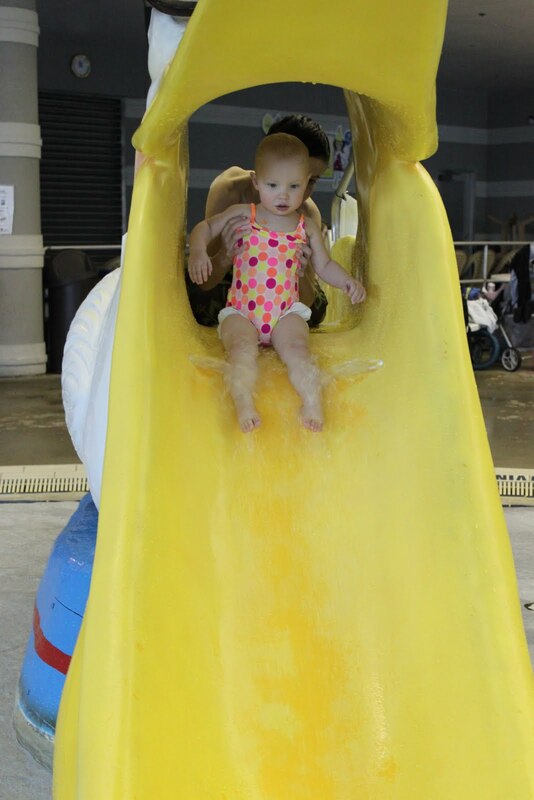 After several attempts, she figured out how to get herself turned around at the top of the slide so she could go down. After that, she was unstoppable!